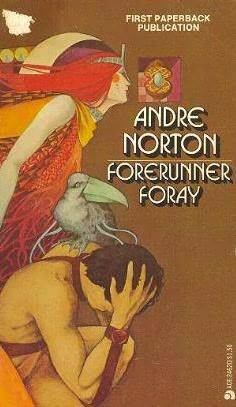 And we are back in one of Andre Norton’s amazing stories, readers! Today’s title is one of her space novels, Forerunner Foray. This story focuses on a girl with the talent of psychometry. For those of you who do not know, psychometry is the ability of someone with extrasensory abilities to see the history of any object they touch. The “sniffers” in the film Push are psychometrics. They touch an object, handle it, and can tell who used it before they picked it up. There are other characters in other stories that can do the same thing. Jedi Knight Quinlan Vos, for example, was a psychometric. This was not through any special skill of his in the Force but due to an inherent ability in his humanoid species. 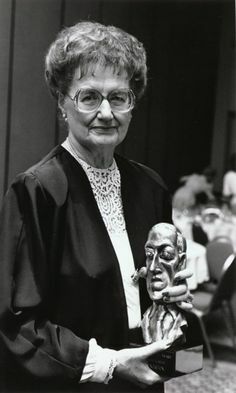 Parapsychology and telepathy are standbys of Andre Norton novels, which you probably know by now, readers. Forerunner Foray is set in the far future, on a world called Korwar. A pleasure world, the wealthy come here to play, while the poor live in a place amid the splendor called the Dipple. The Dipple began life as a “temporary” refuge for people fleeing some sort of war – or series of wars – in the galaxy. Gradually it turned into a permanent camp of poor people. It is a little like the Undercity on Taris in the Knights of the Old Republic game. If you are sent down there, you stay there, unless you are only visiting. No one born in the Dipple ever gets out on their own, either. Ziantha was lucky. Her telepathic talent and psychometric ability attracted the attention of one of the highest members of the Thieves’ Guild: Yasa, a feline/humanoid Salarika. Yasa plucked Ziantha out of the Dipple and had her taught everything she needed to know to become a skilled thief. Because of this and the oath Ziantha took to become part of the Guild, Yasa as good as owns her. At first, though, Ziantha does not really seem to mind this. Especially as she goes on her first major “foray” into the apartments of a member of the Guild who was kicked off-world. Yasa wants some information from the data cubes this guy keeps in his treasure rooms. What is the safest way to get the information without his knowledge? Psychometric readings. Only to stop by a table filled with, presumably, other valuable artifacts. I say presumably because the one which has caught Ziantha’s mental eye is a nondescript lump of clay or stone. Whatever this thing is, it is dragging her attention toward it. Ziantha reaches out to touch it, then snatches her hand back. These apartments and rooms are the property of a head honcho in the Thieves’ Guild. Just because the government caught him in illegal dealings and kicked him off of Korwar does not mean the booby traps littering his residence have been deactivated. If she so much as touches that object, she could set off an alarm. And so Ziantha does not pick the object up as she desires. She instead escapes back to Yasa’s villa and delivers the information safely. The mission is so successful that Yasa promises Ziantha whatever she wants as a reward. While considering this in her rooms, Ziantha realizes that what she really wants is that lump of clay. So she goes back to get it – and the adventure begins. Forerunner Foray is a complicated story. You have to follow Ziantha carefully or you will get lost as her adventures take her out of herself and, perhaps, even out of time. During the course of her adventures, she learns what she is really made of – and what it means to be free. That’s all you will be getting out of me, people! If you want to know more, then you will have to go on your own “foray” to find a copy of this novel to peruse at your leisure. This is as far as I am taking you. Happy hunting! This entry was posted in Book Reviews, Youth Books and tagged Andre Norton, books, Forerunner Foray, Jedi Knight Quinlan Vos, Knights of the Old Republic, old books, paranormal, Parapsychology, psychometry, sci-fi books, sci-fi novels, Science Fiction, Taris, telekinesis, telepathy, the Dipple, The Grande Dame of Science Fiction, Undercity, Youth Books, Ziantha on May 5, 2017 by The Mithril Guardian. The last book of Miss Norton’s reviewed here was Star Guard. Though I have plans to soon revisit the Witch World universe she created, we are not going there just yet. Our next stop, however, is almost as colorful. Allow me to introduce you, readers, to the world of Beast Master. No, I am not talking about the TV show of the same name. While I enjoyed that series, I cannot help but wonder how it ended up sharing the same or a similar name with the book. There are no likenesses between the two stories. At the beginning of Miss Norton’s novel, we learn that Earth – Terra – has been turned into a radioactive blue ball by an invading species called the Xiks. The Xiks are not human, though they are relatively humanoid. 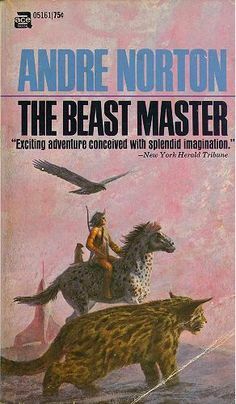 The first Beast Master novel does not go into great detail about what the Xiks look like. Everyone on Terra is dead. Everything on Terra is dead. And at the Separation Center of the Confederacy, human colonists from other worlds have to deal with veterans of a world that is just plain gone. Many of the Terran veterans of the Xik war have lost their minds to grief because of the destruction of their world. These veterans either attack those who are trying to help them or they turn their weapons on themselves. Not a pretty picture, to be sure. A Commander at the center is dealing with one such veteran’s case right now. Hosteen Storm, a Galactic Commando, is asking to leave the Center for the colony world of Arzor. He is a calm, cool, Amerindian man. Unlike many of the people at the Center, the psych-medics have been unable to find any sign of mental instability in him. Maybe this is because he is one of the few Beast Masters. Beast Masters, once used to survey new planets for possible colonization, were reconverted into commandos for the war. Their bonds with teams of animals meant they could scout out danger faster than unaided humans in the Survey Department. During the war, their animals helped them track down enemy bases, sabotage enemy equipment and camps, and the Xiks were never able to face down the animals very well in personal combat. To all appearances, Hosteen Storm seems completely healthy. Remarkable for a Terran veteran, true, but otherwise he seems to be nothing special. Yet the Commander at the Center is reluctant to let the Beast Master go. Something about the young man is off. Oh, he answered the psychologists properly, and he has helped them handle the other, more unstable veterans who are mourning Terra’s destruction. But there remains something about him – a danger the Commander cannot put his finger on and which he cannot name. He only knows that he would rather not let the Commando leave the base. However, he also has no precedent or excuse to keep him at the Center. Reluctantly, he gives Storm his papers. The Terran veteran accepts them, then leaves to pack his things and pick up his team. Storm’s fascinating team consists of Baku, the female African Black Eagle; Ho and Hing, a mated pair of meerkats, and Surra. Surra’s ancestors were the small, fox-faced and eared dune cats. But they were bred successively with bigger and bigger cats over the years. So now, though Surra retains the distinctive fox-face and ears, along with the desert treading paws, she is the size of a cougar. Of the four animals on the team, she is the unquestioned empress. Storm, one of the Dineh, the Navajo, has a reason for picking Arzor as his next stop. Not only is the planet the most like his native Southwest U.S.A., it is the home of an old enemy. The Commander’s instincts are right. Storm is not yet done riding the war trail. He has a score to settle on Arzor, though he has never met the man he wants to kill. Once on Arzor, a planet which is pretty nearly the equivalent of the Southwest in terms of culture and land (though the sky has a mauve tint), Storm hooks up with a man named Put Larkin. Larkin is hiring riders for a drive to his range. He has a herd of horses he has to get home quickly. Storm’s Terran heritage causes a pause, but when the young Beast Master spectacularly tames an untrained horse, Larkin happily hires him on the spot. On the trail, Storm makes an enemy of a fellow driver named Coll Bister. Bister gives the impression of a bigoted, swaggering, boastful man. But later events cast doubt on this idea. He is too cautious, and his hatred of Storm too deep. A blustering fool might take a dislike to a newcomer, but only upon having his fanny handed to him in a fight will he hate a man. Bister, however, hates Storm even before the other knocks him to the ground. To add to this, Storm keeps hearing about some sort of trouble between the human settlers and the natives. Terrans and humans from other worlds usually avoid settling on planets with native populations. But the first settlers on Arzor came when space travel was still touch-and-go. They landed and found that – whoops – there was already a sentient species on Arzor. These aliens – called Norbies – are roughly seven feet tall with white horns on their heads. Green skinned and very slender, the Norbies’ vocal chords are constructed in a way that prevents them from speaking human languages. In a twist of fate, no human can speak their whistling, chattering tongue either. Instead, they communicate with humans through a form of sign language, called “finger talk” in the novel. To avoid the friction American settlers and Indians in the West encountered, the human settlers made strictly enforced pacts of friendship with most of the Norbie tribes. They may pass through Norbie territory while driving their herds, and the Norbies are happy to trade with them for horses, meat, or other things. Ranchers will hire Norbies as workers on their ranges, and the Norbies are good at tracking lost animals. Otherwise, though, a human cannot enter or hunt Norbie land without the Norbies’ direct say-so. There are outlaws who use the territory, certainly, but both the settlers and the Norbies dislike them. The system between the two species does not please everyone on both sides, but by and large it seems most settlers and Norbies appreciate and like each other. This makes the determined, bigoted hatred of Bister and some other settlers out of character. These guys believe that recent losses in frawn and horse herds can be blamed on the Norbies. Most other ranchers do not buy this story, but that does not mean these hot-blooded men may not go off and do something stupid. If the balance between the Norbies and human settlers is upset, it will mean all out war. And primitive people do not do well when they war with more advanced peoples. Storm, determined to pay his debt, does not want to get involved in this brewing fight. His mission is made even more complicated when he encounters his quarry during a night in town. Storm was expecting a man he could hate. Instead, he has found a man he can respect and could even like, if his blood-debt were not in the way. Over the course of the book, however, both Storm and his quarry are drawn into the conflict between the Norbies and Settlers. Storm runs into successively greater and deadlier surprises along the way. Just because Terra is a blue ball of radioactivity does not mean the Xiks are willing to leave humanity alone. Their hatred runs too deep, though no human has any idea why the Xiks hate them. Attempts at reconciliation between the two species always ended badly for the humans involved. Does Storm do what he came to Arzor to accomplish, you ask? You will have to read the book to learn that, readers! I have spoiled a large part of the story as things stand now. If I say any more, you will not need to read the book. And I want you to at least try it. Hopefully, you will enjoy it. 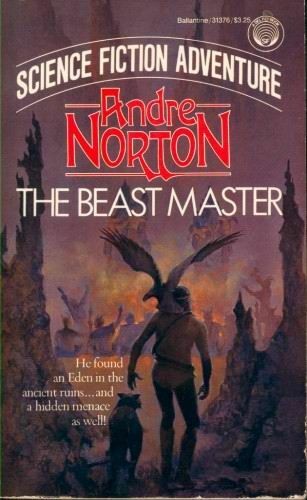 And if it makes you a fan of Andre Norton’s writings, then so much the better! This entry was posted in Book Reviews, Youth Books and tagged Amerindian, Andre Norton, Beast Master, Book Reviews, books, fantasy books for children, Fantasy/Sci-Fi, Hosteen Storm, Navajo, old books for children, sci-fi, sci-fi books, sci-fi novels, Terra, The Dineh, The Grande Dame of Science Fiction, Youth Books on September 23, 2016 by The Mithril Guardian.